Liam Gallagher tweeted this morning about seeing an early version of the film, writing: “Just seen the 1st cut of the OASIS film BIBLICAL what ever happened to my ROCKNROLL LG x”. 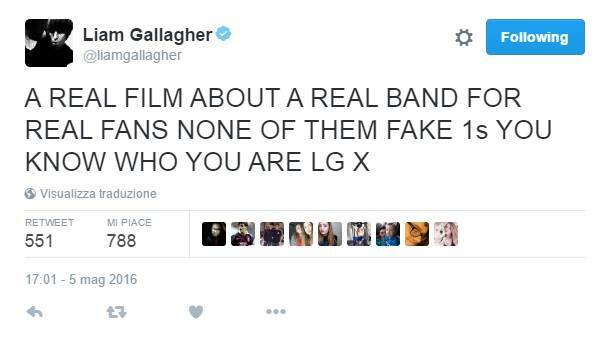 And tweeted also this evening writing: ” A REAL FILM ABOUT A REAL BAND FOR REAL FANS NONE OF THEM FAKE 1s YOU KNOW WHO WE ARE LG X”. 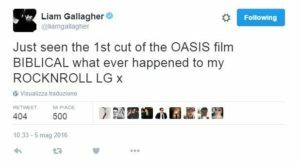 Titled ‘Oasis The Rock ‘N’ Roll Band That Defined A Generation’, the film will chronicle the band’s rise to fame with unseen archive footage and candid interviews. 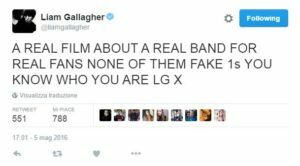 Produced by Asif Kapadia and James Gay-Rees – the team behind the Oscar winning Amy Winehouse documentary, AMY – and directed by Mat Whitecross, the film will also document the band’s two-night residency at Knebworth Park in 1996 and their turbulent split in 2009.